Barrow upon Soar LE12. Synergy Plumbing Services | Loughborough Plumbers. Synergy Plumbing Services. Who is a recommended local plumber for Barrow upon Soar? If you are looking for a local plumber for Barrow upon Soar, we’d love to help. Synergy is a well-reviewed plumbing team with a great reputation, covering your area. We understand that there is a wealth of choice when it comes time to select a plumber for Barrow, but not all companies are the same. We pride ourselves on punctuality and reliability, and our scores of great reviews tell the story better than we ever could. Barrow, with its population of approximately 5,000 people, greatly relies on its plumbing infrastructure. Whether you are a homeowner, a landlord, or a business property owner, we can offer a range of quality plumbing services. Even the newest and most well kept of properties will develop plumbing issues at one time or another. Common reasons to call out a plumber include dripping taps or leaking pipes. You may also find that blockages in the pipes or drains will stem the waterflow leading to no water, or slow running water. Synergy Plumbing Services are able to come out for emergencies, or schedule regular maintenance to keep your plumbing in check. For homeowners and business property owners, we can help with appliance installations. Synergy can install outside taps, disabled access bathroom, and so much more. To discuss your issue or project in Barrow or surrounding areas, please contact us today. Managing property can be a bit like spinning plates, and the last think you need is an unexpected plumbing problem, but it didn’t be a big deal. When you call Synergy Plumbing Services, you are dealing with a company that sets out to reduce your stress. We can help with paperwork and health and safety issues. 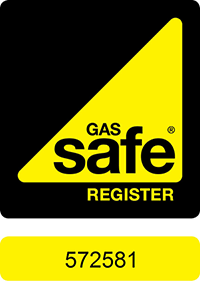 We are Gas Safe registered and can provide regular maintenance such as boiler servicing. We can deal with your tenants direct is required, saving you time and allowing you to get on with the task at hand. We find that landlords enjoy their partnership with Synergy. How can we help you? Barrow has some great establishments for eating and drinking, not to mention the many top businesses in the area. We understand that when things go wrong with the plumbing, they much be tackled fast and without disruption. Synergy are your local plumbers in Barrow that can provide the best possible help when you need it.